I am a painter and printmaker. The luminosity and intensity of colour which etching offers both in single and multi-plate images is at the heart of my work where colour is an experience. My work is an exploration of the elusive territory where the mind slips between what is known and what is imagined. The starting point may be an illuminating text or personal experience but the intention is to take the viewer on an internal journey rather than to tell a story. Major open shows include New Contemporaries, John Moore’s XI, Royal Academy Summer Exhibitions, Royal Institute of Oil Painters, National Portrait Gallery BP Portrait Awards, Pacesetters, and the Royal Society of Portrait Painters. Martin Mossop is an artist printmaker based in North East London. His printmaking often originates from oil paintings. 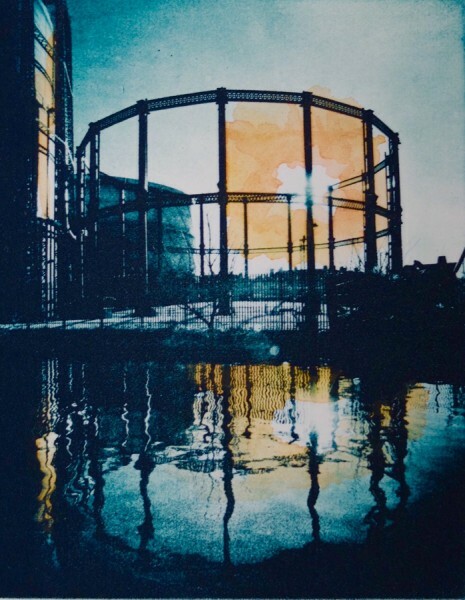 He works in Photopolymer Etching, Screen Print, Watercolour and Oil Paint. The work is influenced by film, photography, dreams and music.